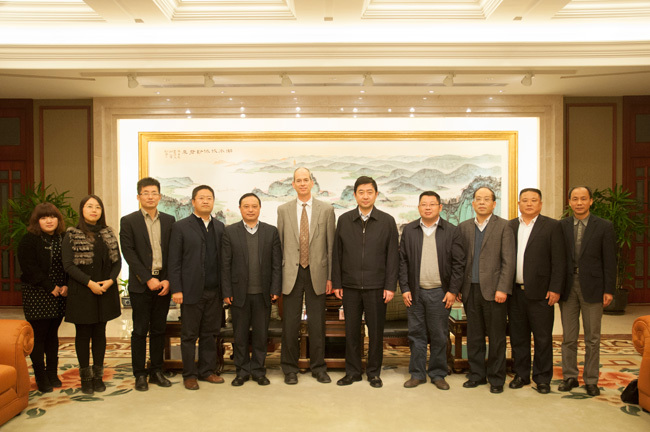 Wang Quan, who is the Vice Secretary of Wuxi Municipal Party Committee, Mayor and Secretary of Wuxi Municipal Leading Party Group has met Zha Zhengfa, the Chairman of Zhenfa New Energy Group and Robert S. Yorgensen, the Chairman of STR, which is a famous American company, in Wuxi Citizen Center on Dec 2nd ,2014. After learning the cooperation progress of Zhenfa and STR, Mayor Wang placed a high value on Zhenfa’s efforts to develop the front business in the PV industry chain and the overseas market, meanwhile, Mayor Wang wished a successful completion of equity transfer. 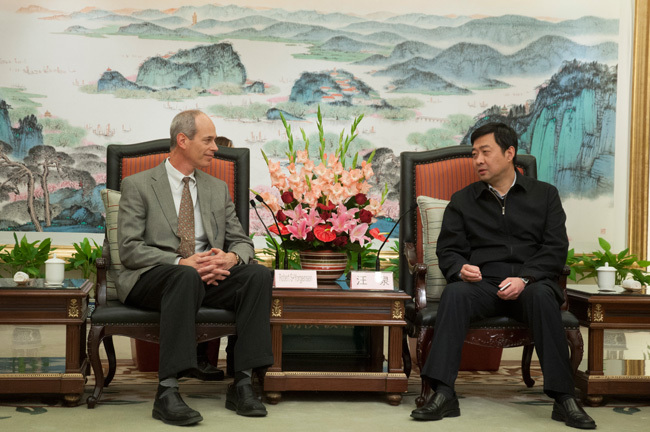 On behalf of Wuxi Government, Mayor Wang not only gave a warm welcome to STR who would settle a factory in Wuxi, but also suggested some positive policies. At the end, Mayor Wang hoped that Zhenfa and STR would learn from each other, innovate the technology more deeply and make a success in Wuxi.